Mendolia Seafoods with the support of Recfishwest have taken a huge step toward plastic free fishing, with the launch of a new burley and bait product. 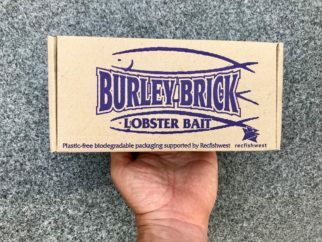 The packaging for the new product, named the ‘Burley Brick’, is made from biodegradable cardboard and is filled with locally sourced fish (sardine) products, making the entire product plastic free! Recfishwest Fishing Development Officer, Matt Gillett with the new WA owned product. WA owned and operated Mendolia Seafoods, have been catching Sardines for 30 years in WA and have come up with the design, using unwanted ‘offcuts’ of their famous Sardine catches. Fishers can either place the whole cardboard box directly into their burley bucket or their cray pot bait baskets and the cardboard will breakdown, or alternatively, the contents of the box can be placed in bait baskets and the box discarded in the bin. Recfishwest CEO Dr Andrew Rowland said this product will save thousands of bait bags coming into contact with our aquatic environment, giving recreational fishers better stewardship over their fishing resources. 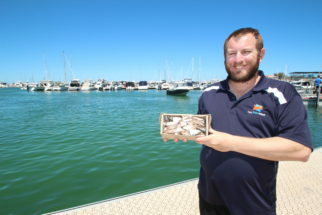 “The burley brick is an ideal product for fishing for demersal species where a constant burley trail is required,” Dr Rowland said. 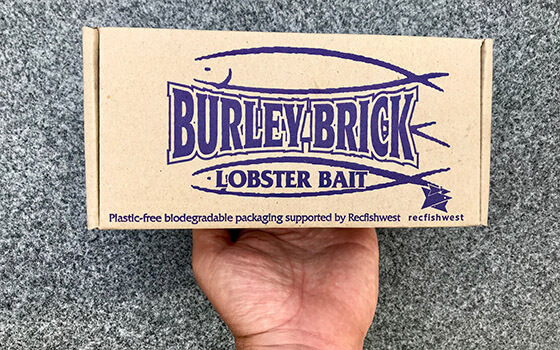 Sold as frozen 1kg bricks, the Burley Brick is a great way for fishers to become even better stewards of the aquatic environment by going plastic free when choosing their bait. We’re proud to promote and support clean environment initiatives such as the Fishing Line Disposal Bin program, clean up days, developing recreational fishing Codes of Conduct for the Kimberley, Pilbara and Shark Bay, supporting shellfish reef restoration, working with our Fish Habitat Partners to build better fish habitats. 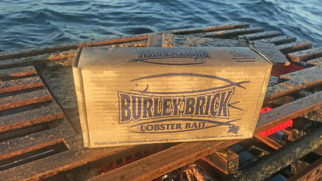 Another great benefit of the locally sourced Burley Brick is that it has very minimal biosecurity concerns, as we’re all aware of the current risks surrounding international and nationally sourced bait products entering WA waters.